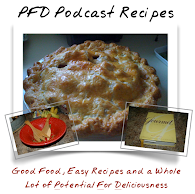 PFD Podcast: PFD Ep 12: Water, Water and More Water! You are all welcome to come to my pool! Heidi-try some of my Avon products..dont like it you can return it for full money back! Yeah for Jack-HIGH SCHOOL? wow, i feel old.